Crazy to think that we’ve already managed to rack up the first half of 2017. But as such, it’s the perfect time to look back at what’s been hitting our speakers the most so far, while we anticipate the treasures still to come in the second half. So before all of the late summer and fall touring flood begins (in addition to a sea of new releases), get caught up on any of the year’s best that may have slipped through the cracks. Currently, the year is without that ultimate bulldozer or “wow” release, although that doesn’t discount for its output thus far. If anything, it’s a reflection of the underground’s consistency where it’s now a rare occurrence when a band totally stinks up the joint. (Good thing none of us are Suicide Silence fans, eh?) Nevertheless, French black metal ensemble Au Champ des Morts is out front thanks to its majestic brew of melody, atmosphere, and dynamics. While Anathema and Kreator aren’t new to anyone’s list, let alone this scribe’s, German nihilistic maestros Valborg and Ukrainian bunch White Ward join the fray. With the ever-changing music landscape, it’s nice to see that the independent acts can bring forth just as much quality as the top labels can. Plenty to be thankful for again in 2017 on both sides of that equation, and personally-speaking, there’s a very solid top 10 of albums for this scribe already sitting on the desktop. Aether Realm’s long-awaited sophomore effort fits the billing as an epic and glorious piece of metal, while Amber Galactic simply begs to be replayed again and again. 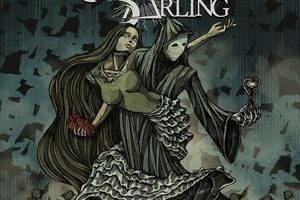 Rounding out the five are the unique folk-ish stylings of Cellar Darling, the symphonic melodeath rattlings of Karkaos, and Broken Hope’s most brutal and enjoyable take on death metal in years. 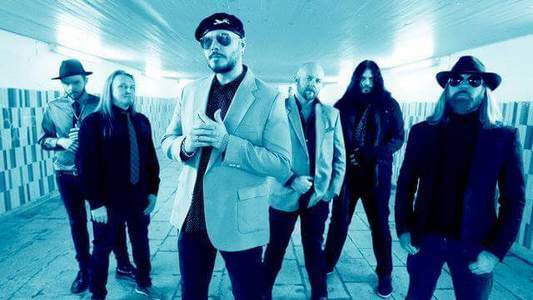 On the bubble sits some bands like The Charm The Fury and Battle Beast, while upcoming fall big names such as The Haunted, Arch Enemy, and more all potentially vie for playing time in the future. Hard to believe we are already half way through 2017. Once again, versatility reigns supreme in the metal realm. These days, there are so many sub-genres and consistent releases to pour through, not only from the major metal labels but also on an independent or self-released/DIY basis. Be it melodic, classic, true, power, progressive, thrash, speed, death, technical, black, epic, industrial, symphonic, doom, grind, or anything in between- there’s something for everyone if you are willing to seek, try, sample, and become a part of the movement. Right now these are the five releases that have captured my attention, still spinning regularly while new outings hit the in box. With each passing year, it seems us fans are having to bid farewell to more and more cherished live venues and local music shops. Even sales of the electric guitar are down, a continuing trend. All signs point to an industry on the decline. However, the never-ending onslaught of new releases would seem to say otherwise. With Striker, Battle Beast, MindMaze, Kreator, Lich King, Aether Realm, Nightrage, Shores of Null and Unleash The Archers all releasing excellent new albums, it wasn’t easy narrowing down the list to a top 5, but the artists behind each of the releases below have not only penned some truly great music, they did so by adding new elements to expand upon their core sound, showing that evolution and progression is usually a winning combination.